Welcome home to St. Mary Healthcare Center, a top-tier senior living community in Lafayette, IN. 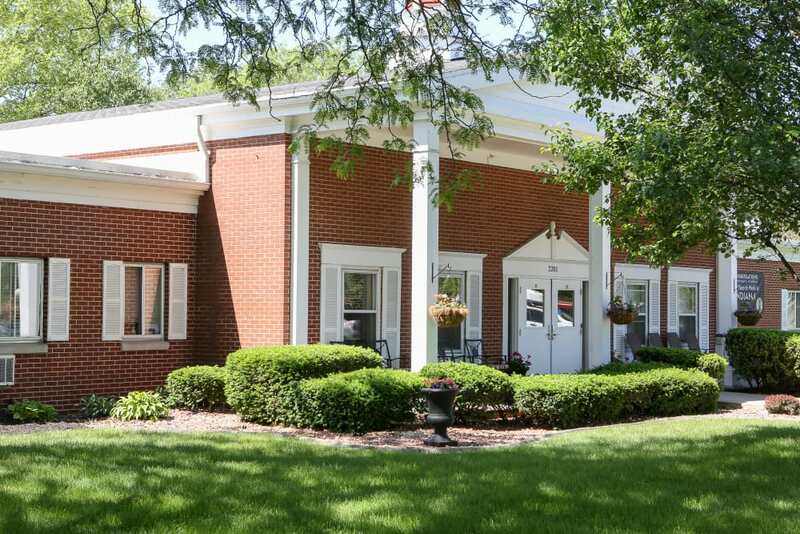 Situated alongside beautiful Murdock Park in charming Tippecanoe County, our senior living community offers top-of-the-line care in a quiet, scenic environment. Our quaint, park-inspired community grounds are located near Sagamore Parkway and I-65 for easy access from Indianapolis as well as the surrounding neighborhoods. St. Mary Healthcare Center makes it easy to embrace each day. 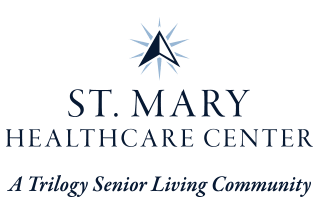 With a variety of compassionate care levels including Long-Term Care, Short-Term Care, and Memory Care, along with a dedicated team of skilled nurses, St. Mary Healthcare Center provides everything that you’re looking for in a senior living community. With friendly, small-town care and state-of-the-art amenities, St. Mary Healthcare Center is a new approach to exceptional senior living. Choose the care option that best suits your needs and your lifestyle. 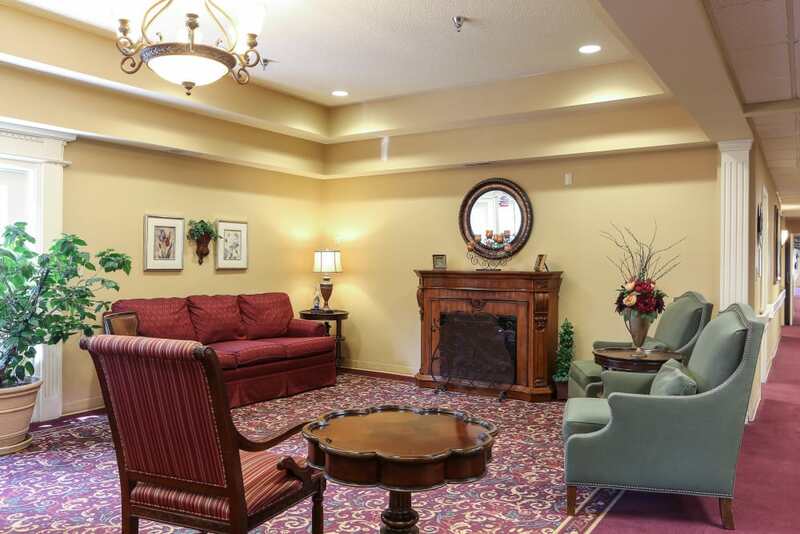 Our Skilled Nursing suites allow you to live independently with available support from our well-trained, team. If you’re searching for compassionate Memory Care for your loved one living with Alzheimer’s disease, dementia, or other forms of memory loss, ask us about our available Memory Care suites. Our specialized nurses and care teams are trained to provide support that upholds the dignity and independence of every person in our care. Let the experts at St. Mary Healthcare Center help take the guesswork out of senior care. 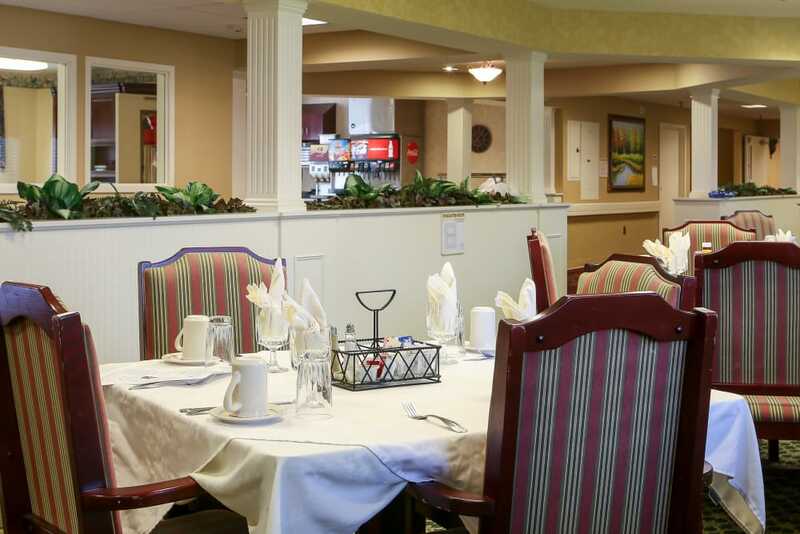 At our Lafayette, IN, senior living community in Tippecanoe County, we provide a range of flexible and Short-Term Care options to fit your health care needs. Our Short-Term Rehabilitation program is a great way to regain strength and skills. We work with you to develop a care plan that adequately addresses your specific needs. Our Rehabilitation team includes experts in Physical Therapy, Occupational Therapy, and Speech-Language Pathology. As your needs change, we’ll adapt the care plan accordingly to ensure your progress and comfort. We also offer Adult Day and Respite services for caregivers who are struggling to juggle life’s responsibilities with their caregiving duties. The Signature Programs at St. Mary Healthcare Center are your chance to engage, socialize, and continue learning. With classes ranging from physical movement to creative expression, our community makes it easy to inspire the mind and body. Wake up your muscles with guided movements during the Vitality courses three times per week. If you’re interested in spirituality, stop by our biweekly Inspirational Services. To learn about new forms of art, check out our Artisans classes and try your hand at everything from sculpting to drawing. We also offer Out and About outings where we visit neighborhood destinations like Murdock Park and the Art Museum of Greater Lafayette. Feed your mind, body, and soul with hot and tasty meals courtesy of the chefs at St. Mary Healthcare Center. We know how important it is to eat well and give yourself fuel to get the most out of your day. Embrace your health and vitality with the help of beautifully prepared meals in our senior living community. Served directly from our kitchen to your table in our upscale dining room, our restaurant-quality meals are fit for fine dining. From morning to evening, our chefs create all of those classic dishes you know and love. Our menu rotates often so everyone can enjoy their favorite dish. On Fridays, you can even share a beverage with your friends at our weekly Happy Hour. 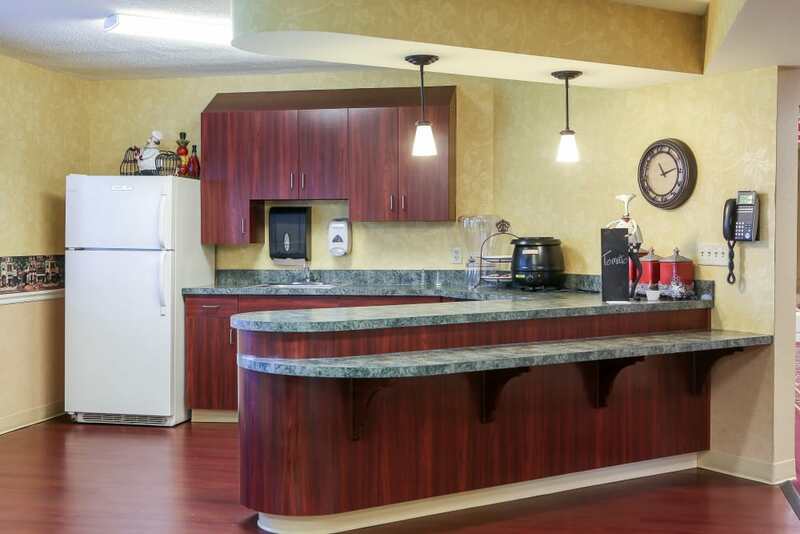 Schedule your tour of St. Mary Healthcare Center today, and ask us about our Trilogy Guarantee!